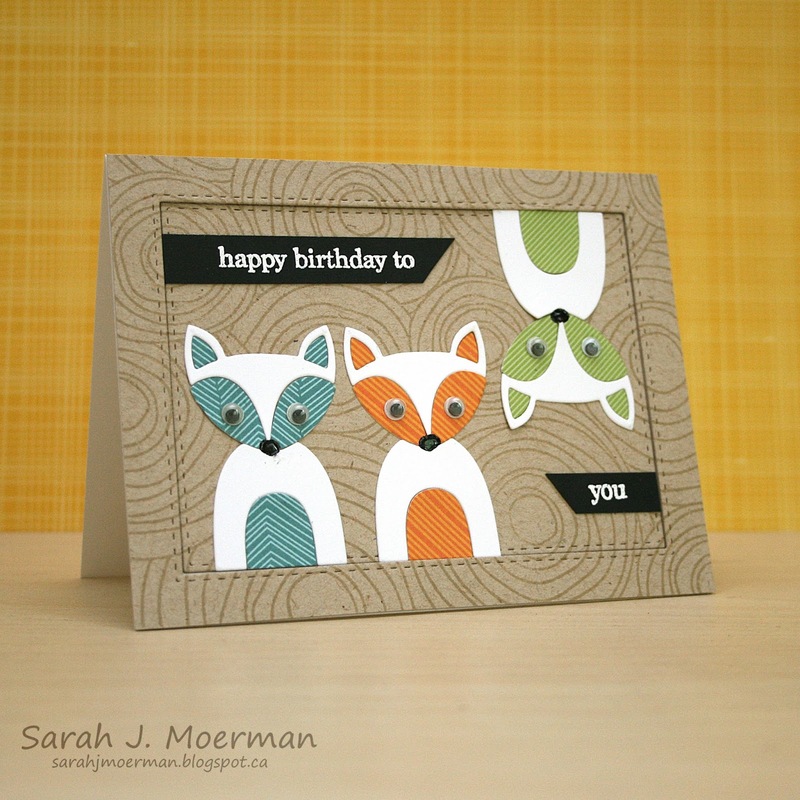 I'm popping by to share a couple of cards featuring Simon's Picture Book Fox Die but first I'm going to announce the winner of the Simon Says Stamp September Card Kit. Absolutely adorable card. I love those little unicorns on the pattern paper and the repeated sentiment in the middle. Congrats Mary-Anne! Please message me via the contact me button on my side bar. So I've been on a mission lately to use up patterned paper scraps and thought the Simon Says Stamp Picture Book Fox Die would work well with these older papers from Lawn Fawn to create birthday cards for some of the boys in my life. That's it for me today! I hoe you all have a wonderful week! 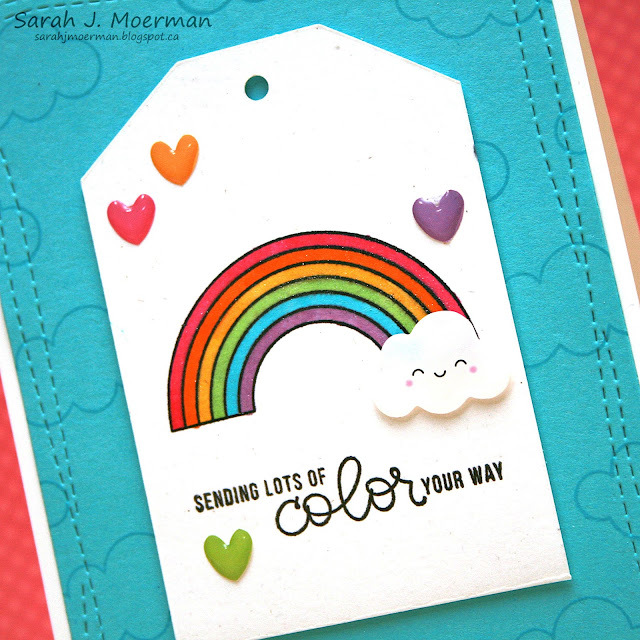 SSS September Card Kit: Sending Lots of Color (with GIVEAWAY)! 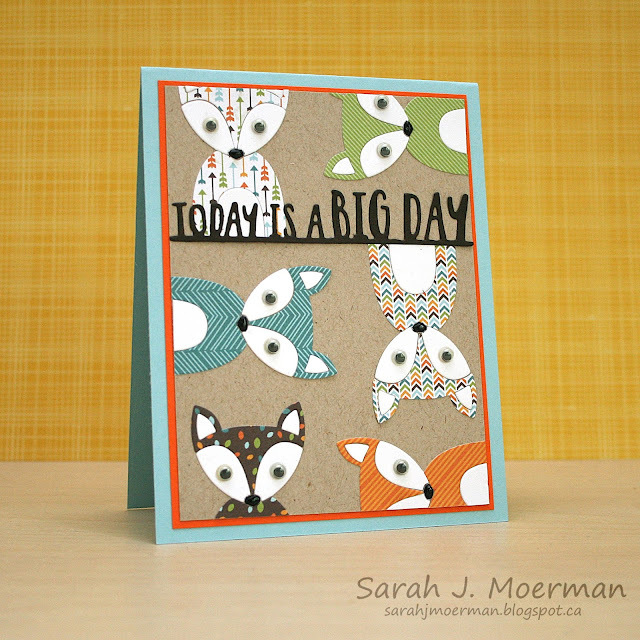 I'm stopping by to share a final card featuring the adorable Simon Says Stamp September Card Kit. 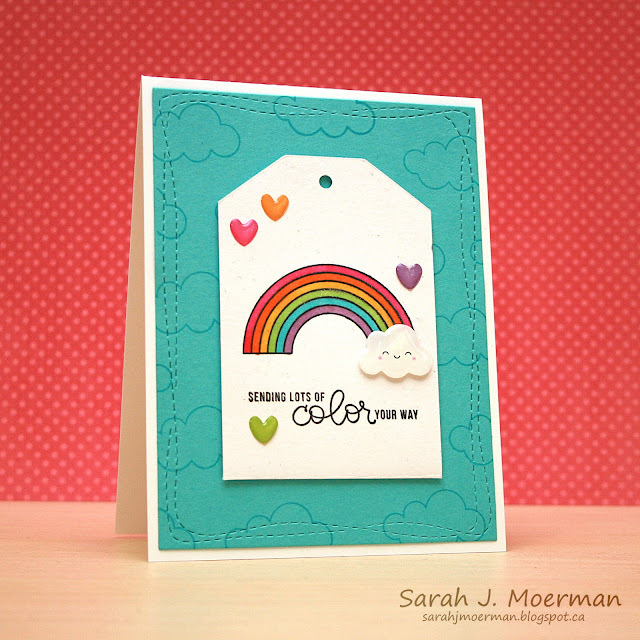 I cut the front off one of the Jillibean Soup Balloon Die Cut Shaker Tags and created my little scene on the back part of the tag using stamps from Simon's Best Ever Stamp Set, Doodlebug's Happy Skies Sprinkles, and their Rainbow Hearts Sprinkles. 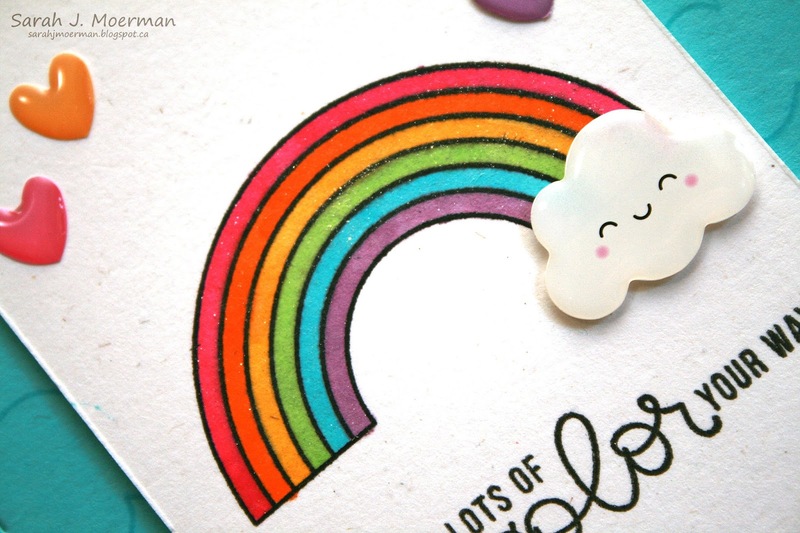 The rainbow was colored with Copic Markers and a Wink of Stella Clear Glitter Marker. The cloud sticker was adhered with Foam Tape. For the background, I die cut a piece of Audrey Blue Cardstock with the largest of the Wonky Rectangle Dies and stamped the cloud image repeatedly with Audrey Blue Dye Ink. I adhered the panel on a notecard made from Simon's 120 lb White Cardstock and adhered the tag with Foam Tape. If you're interested, you can pick up the Simon Says Stamp September Card Kit for just $29.99 + shipping. If you'd like to receive this kit and future kits for only $24.95 + shipping per month, you can SUBSCRIBE HERE. Heidi, owner of Simon Says Stamp, has given me an extra Simon Says Stamp September Card Kit to pass on to one of you! Just leave a comment on any or all of my September 2017 Card Kit posts and I'll announce a winner Monday, August 28th.